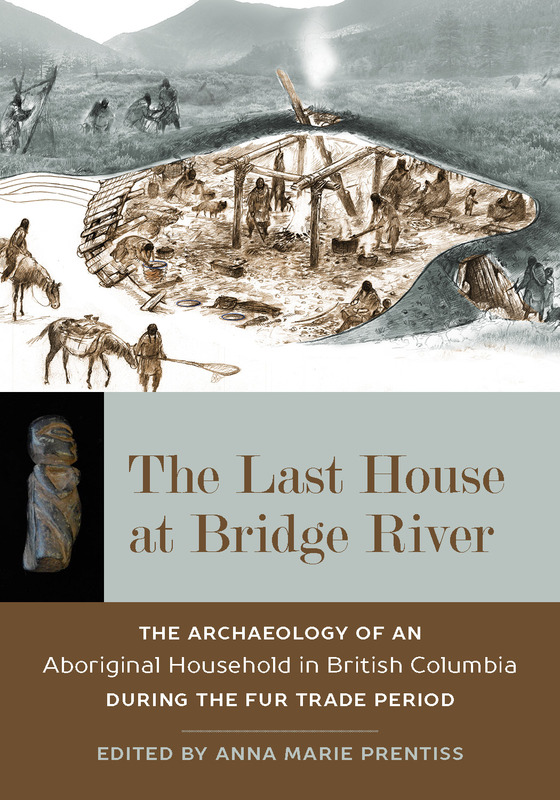 The Last House at Bridge River offers a comprehensive archaeological study of a single-house floor and roof deposit dated to approximately 1835–1858 C.E. Although the Fur Trade period of the nineteenth century was a time of significant change for aboriginal peoples in the Pacific Northwest, it is a period that is poorly understood. These studies of Housepit 54 at the Bridge River site offer new insights, revealing that ancestors of today’s St’át’imc people were actively engaged in maintaining traditional lifestyles and making the best of new opportunities for trade and intergroup interaction. Among its major contributions, the book includes a first-ever historical ecology of the Middle Fraser Canyon that places aboriginal and Euro-Canadian history in ecological context. It demonstrates that an integrated multidisciplinary approach to archaeological research can achieve insights well beyond what is known from the ethnographic and historical records. Because the project derives from a long-term partnership between the University of Montana and the Bridge River Indian Band, it illustrates the value of collaborations between archaeologists and First Nations. Together, contributors present a Fur Trade period aboriginal society at a level of intimacy unparalleled elsewhere. Anna Marie Prentiss is professor of archaeology at the University of Montana. Her previous publications include People of the Middle Fraser Canyon and Field Seasons.